There are dozens of stories out there about the nex-gen Subaru BRZ/Scion FR-S/Toyota GT86 and we can come up with wild speculations on what is going to happen. What is Subaru saying about the next sports coupe? 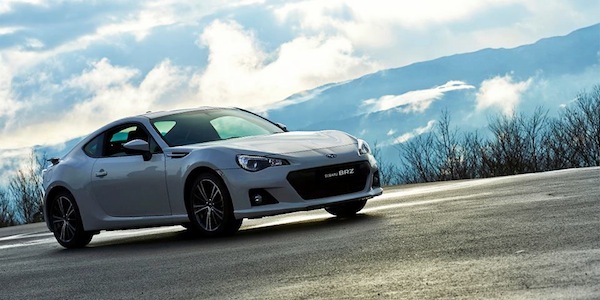 We reported back in January that President of Fuji Heavy Industries (FHI), Yasuyuki Yoshinaga, confirmed a new-generation Subaru BRZ/Scion FR-S/Toyota GT86 is coming. Fans have been wondering when Subaru and Toyota would come out with the new model change for the rear-drive two-door sports coupe, and it looks like it’s going to be sooner rather than later. FHI president Yoshinaga says the relationship between the two automakers will continue to produce another generation model. Rumors are swirling around the BRZ/FR-S and some are reporting a new platform from the Mazda MX-5 will underpin the next-generation sports coupe. According to InAutoNews.com, Subaru is saying it is not known what platform the rear-drive sports car will be using. A Subaru source told them that anything is possible and the Japanese automaker will not rule anything out at this point. With sales of the Subaru BRZ/FR-S/GT86 sales slipping big time around the globe, the Japanese automakers are looking at many different options for the next-generation sports coupe. We do know, Subaru Tecnica International (STI) will be having a much bigger influence with the engine and drivetrain regardless of what platform the coupe rides on. The new Subaru BRZ will be coming with a lot of changes for the better. We could even see a convertible BRZ. Stay tuned. This information is not correct. MX-5 platform could be used only for a sub-compact sports car that could sit below FR-S/BRZ. It is 2-seater and not a 4-seater platform. I agree Theo, who said anything about a 4-seater platform?